Guerlain Terracotta Terra Azzurra Bronzing Powder is a soft pearly formula mixing both bronzing tones and a blush, for a beautiful summer finish. 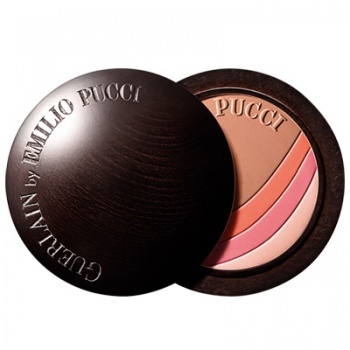 Guerlain Terracotta Terra Azzurra Bronzing Powder is a re-interpretation of the original Guerlain Terracotta powder with the glamourous and fashionable Emilio Pucci pattern. 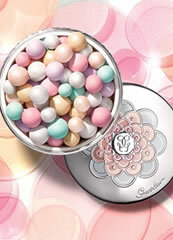 Guerlain Terracotta Terra Azzurra Bronzing Powder is 2 universal harmony of 4 shades, a golden beige, a coral pink, a sunny pink, a bronzing shade (Terracotta 03).